We’ve been playing our way through the NES Classic alphabetically and we made it to Pac-Man. We’ve already discussed Pac-Man, so Dave really wanted to talk about one of his favorite games of all-time: Ms. Pac-Man. 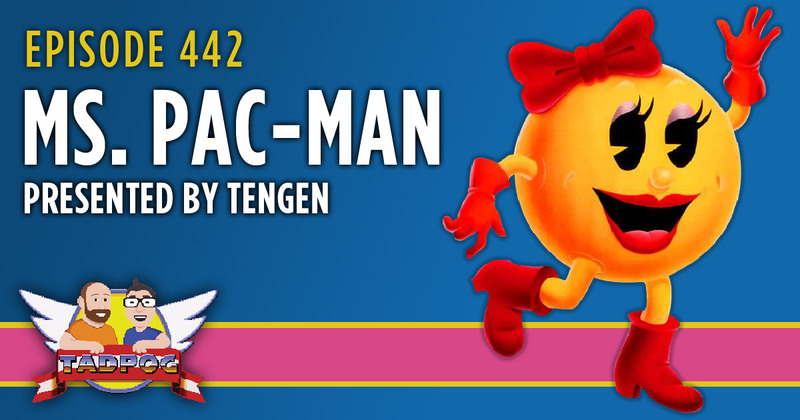 To keep with the NES theme we decided to talk about Ms. Pac-Man for the NES. And because we’re apparently into taking risks, we decided to play the unlicensed Tengen Ms. Pac-Man for the NES (for the cooperative play). We also talk about finger smells, narcissism is a running theme, we listen to voicemail, and we prepare to embark for the Lousiville Arcade Expo.